This is a newer and compact burrito project. Bring your great attitude and lots of positive energy. 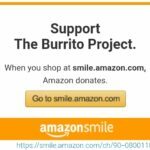 The Burrito Project – Los Angeles – NELA has been serving the homeless of Los Angeles since 2015.